Fairfax County has finalized the locations of the bikeshare stations that will be coming to Reston this fall. There will be 15 stations in Reston and 14 sites in Tysons to comprise Fairfax County’s first Capital Bikeshare network. 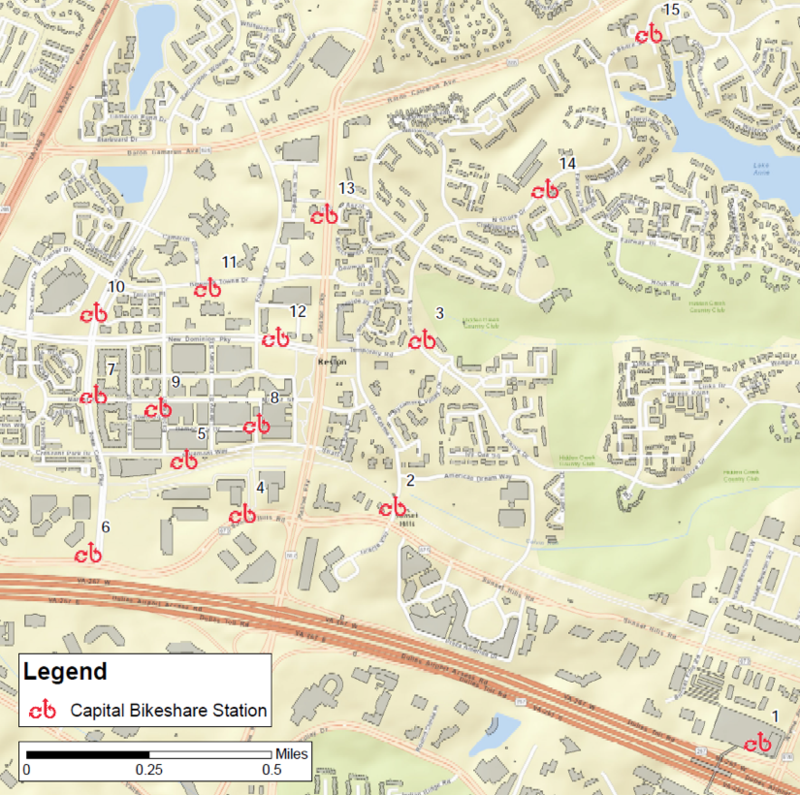 In January, the Fairfax County Board of Supervisors approved a $1.7 million plan to bring the bikeshare network to Fairfax. Last October, the supervisors OKed the county’s application for the Virginia Department of Transportation’s FY 2017 Transportation Alternatives Program (TAP) Grant Application. The grant will give the bike program $400,000 as seed money for bike share program. The money will go to pay for needed equipment such as bicycles and station hardware. Sharon Bulova, chair of the Board of Supervisors said at the time county’s investment will help get cars off the road, boost local economy and contribute to a healthier community. “With the transformation of Reston and Tysons into more urban centers, Fairfax County is investing in infrastructure needed to make it easy to get around.” Bulova said. To see the Tysons stations, see this post from Fairfax County.